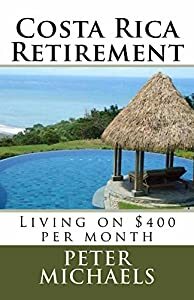 SeniorCenters.com are now presenting the acclaimed Costa Rica Retirement: Living on $400 per month at a brilliant price. 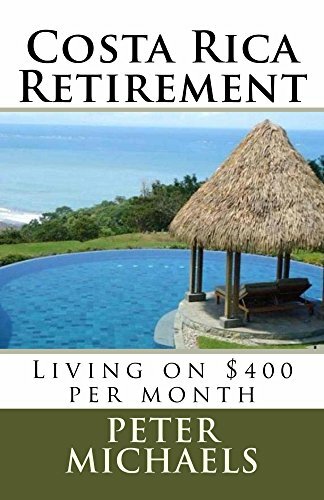 Don't pass it over - buy the Costa Rica Retirement: Living on $400 per month here today! Costa Rica is more beautiful than many other countries and the locals are probably happier than most of the world’s people. By expatriating you gain a different perspective on life, not unique to Latin American countries, rather when leaving your home country everything is new and different. The focus of this book is on how to ease the transition and addresses the hazards and pitfalls would-be expatriates can avoid through facts, opinions and shared feelings regarding: money matters, retirement living, personal growth through expatriating, foreign culture, tourism versus residency, what to wear, the weather, what to bring, culture shock, friends, being a foreigner, clothes, laundry, what to eat, buying a home, online shopping, earthquakes, gardening , cooking, traveler’s sickness, paying for doctors, dentists, residency and housing, Costa Rican Spanish, shopping and more. This book is about being a stranger in a strange land, a chronicle of expatriate retirement to a new country, culture and community in the form of a series of "Letters to the North" as the author recounts his first year of experiences to his friends back home. It does not matters where you go to live, or from where you depart, you can learn to overcome the challenges. Now, the author lives full time in his home in Costa Rica with his Costa Rican wife. They have gardens, employment, friends from the North and from Costa Rica and live quite contently in a small town in the mountains outside San Jose.